The long-awaited sequel to the cult classic Beyond Good & Evil 2, is on its way out. Despite Ubisoft’s declaration that the game would not be at E3 this year, it seems the joke is well and truly on us. Originally devised as a trilogy of games, it seemed that the game would never escape development purgatory. Alas, the gods have been looking kindly upon us. A clearly emotional Michel Ancel elicited the feeling that we all have felt at some point along the way as he announced the game. Thanking Ubisoft, and the fans for being so patient. It was a beautiful union of all the team at Ubisoft and fantastic closing to the show. It only took 15 years after all. Taking place before the birth of the first games protagonist, Jade. 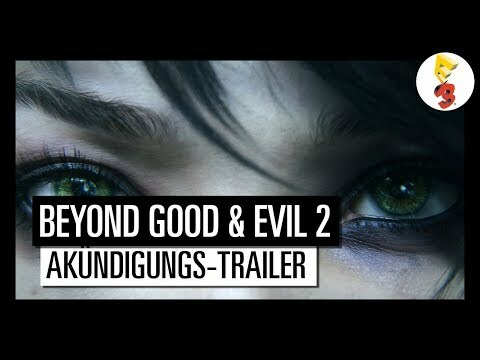 Beyond Good & Evil 2 will take us on an adventure of the likes never seen before. What a way to close out the show! Currently there is no announced release date for Beyond Good and Evil 2, but once there is more to share you can be sure that we shall.